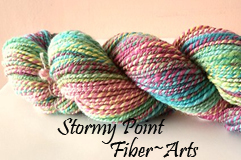 Welcome to Stormy Point Fiber~Arts! Stormy Point is located on the shores of peaceful and serene Lake Nipissing in Northern Ontario, and nestled amongst the tall white pines sits my Northern Homestead. 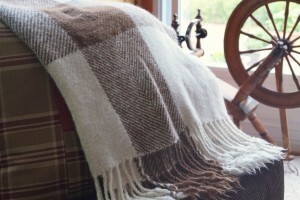 A place where I not only garden and enjoy the great outdoors, it is also where my creative juices flow to design, create and produce hand-spun and naturally dyed fibers, hand-woven textiles and custom hand-sewn goods (draperies, tablecloths and runners, placemats, handbags, totes and travel bags to name a few). 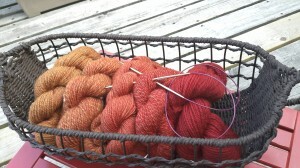 As I have aged, new skills have come forth out of my love of fibers and fabrics which has led me where I am today. 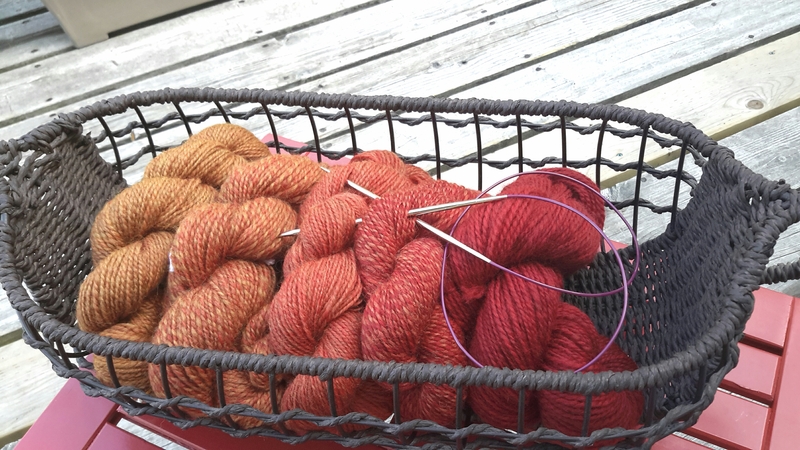 I have come to adore spinning fibers into luscious yarn, I also love to weave, so much so that I am starting to fill up various cabinets with hand-spun fibers and handwoven textiles which means I am going to run out of room pretty soon. So I figured sharing my creative eye was a good way of controlling my fiber obsession. If you are looking for a unique scarf or a set of tea towels as a gift, or a handwoven table runner or blanket that will become that heirloom for future generations to cherish, then this is the place to visit. I will work with you to come up with a design to match your decor and style and turn it into that one of a kind piece of fiber art that will reflect your personality and no one else. Be assured that everything produced in my studio has been created by me, I am the only artist represented here: weaver, spinner, dyer, sewist, creative mind, in addition to being the only photographer, shipping agent, purchasing agent, accountant, advertising agent and whatever else is needed in order for me to complete my labour of love. NOTE TO PATRONS OUTSIDE CANADA: Due to the changing complexities of international shipping, I cannot quote shipping costs in advance. If you are interested in a purchase, please contact me and we will work together to determine shipping costs and times.